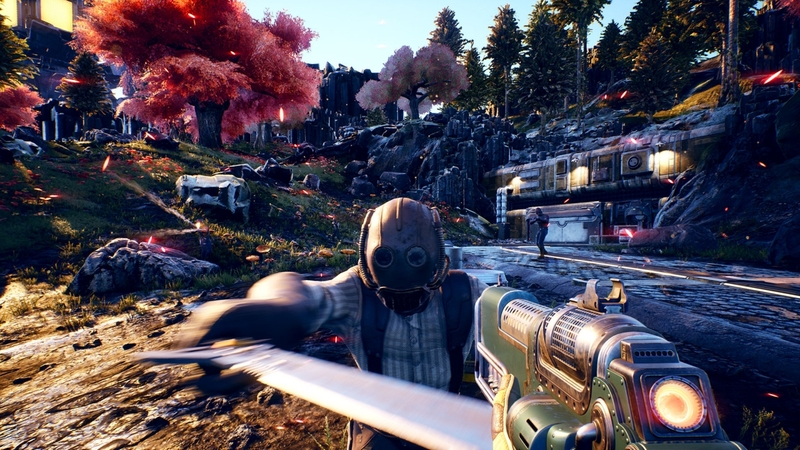 For players that like to try their hand at finishing games as a pacifist, The Outer Worlds may offer such an option. Lead Developers Leonard Boyarsky and Tim Cain teased as much during a rapid-fire interview with Game Informer. Yet, both noted that the possibility may be slim. When asked if The Outer Worlds can be completed without killing enemies, Cain merely responded by saying, “We hope so.” Boyarsky agreed, adding that they’re “not certain” as to whether a fully pacifist playthrough is possible. What the two were able to confirm is that they “sadly” know players can beat The Outer Worlds by laying waste to everyone. At the very least, it sounds as though players may have the ability to choose a moral high ground in most situations. If a pacifist playthrough does become possible, The Outer Worlds will join a relatively small group of open world titles that makes such options available. The most recent examples of this, while they aren’t fully open world, include Metal Gear Solid, Eidos Montréal’s Deus Ex prequels, and the Dishonored series. In addition to this tidbit, Boyarsky and Cain confirmed a few other details. For instance, while players shouldn’t expect to encounter sentient aliens in the game, there are alien lifeforms. Cain also noted that only two planets in the Milky Way setting will be explorable. However, players will find a number of asteroids, dwarf planets, moons, and space stations worthy of exploration. With regards to post-game content, the developers revealed that while New Game Plus isn’t a surefire addition, it’s something Obsidian is “talking about.” Finally, the developers reiterated that The Outer Worlds won’t feature any microtransactions. The Outer Worlds currently lacks an official release date. Obsidian’s new title is expected to launch for the PlayStation 4, PC, and Xbox One sometime in 2019, though.